In this study, 587 adult insect specimens belonging to the Crabronidae family (Insecta: Hymenoptera) were collected from Tokat Province between 2009 and 2012. Totally 89 taxa were identified, of which 68 are new records for the fauna of the province. As a result, the total number of species in the family is reached to 114 together with the previously known 46. All specimens were prepared as standard museum materials and deposited in Gaziosmanpaşa University, Faculty of Sciences and Arts, Department of Biology, Entomological Resarch Laboratory Tokat/Turkey. 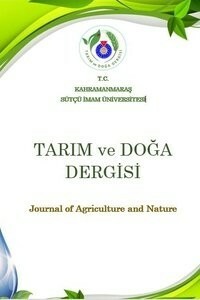 Bu çalışmada Tokat ilinden 2009-2012 yılları arasında Crabronidae familyasına (Insecta: Hymenoptera) ait 587 ergin böcek örneği toplanmıştır. Toplam 89 takson tanımlanmış olup bunların 68’i il faunası için yeni kayıttır. Sonuç olarak familyaya ait toplam tür sayısı daha önce bilinen 46’dan 116’ya yükselmiştir. Tüm örnekler standart müze materyali şeklinde hazırlanmış ve Gaziosmanpaşa Üniversitesi, Fen Edebiyat Fakültesi, Biyoloji Bölümü, Entomoloji Araştırma Laboratuvarı’nda (Tokat/Türkiye) depolanmıştır. Bitsch J, Barbier Y, Gayubo SF, Schmidt K, OHL M 1997. Faune de France 82. Hymenopteres Sphecidae d’Europe Occidentale, Volume 2, Fédération Française des Sociétés de Sciences naturelles, France, 429 p.
Bitsch J, Dollfuss H, Boucek Z, Schmidt K, Schmid-Egger C, Gayubo SF, Antropov AV, Bohart RM, Menke AS 1976. Sphecid Wasps of the World. A generic revision.University of California Press, Berkeley, Los Angeles, London, 1 color plate, IX+695 pp. Çubuk FT, Gülmez Y 2013. New Records of Crabronidae (Insecta: Hymenoptera) From Turkey. J. Ent. Res. Soc. 15(1): 33-36. De Beaumont J 1967. Hymenoptera from Turkey. Sphecidae, I. With Appendix. Sphex Linné, Subgenus Palmodes Kohl par P. Roth. Bulletin of the British Museum (Natural History). Entomology 19: 253-382. De Beaumont J 1969. Sphecidae de Turquie (Hym.). Mitteilungen der Schweizerischen Entomologischen Gesellschaft 42: 79-95. Dollfuss H 1995. A worldwide revision of Pemphredon Latreille 1796 (Hymenoptera, Sphecidae). Linzer Biologische Beiträge 27: 905-1019. Gayubo SF, Özbek H, Yıldırım E 2003. A contribution to the knowledge of Spheciformes of Turkey: tribes Astatini, Dinetini, Larrini, Palarini and Trypoxylini (Hymenoptera: Apoidea: Crabronidae). Zoology in the Middle East, 29: 83-92. Guichard KM, Harvey DH 1967. Collecting in Turkey 1959, 1960 & 1962. Bulletin of the British Museum (Natural History). Entomology 19: 223-250. Gülmez Y, Tüzün A 2005. Spheciformes (Hymenoptera: Apoidea) from Ankara province. Subfamilies: Sphecinae, Pemphredoninae and Astatinae. Journal of the Entomological Research Society 7(1): 41-57. Ljubomirov T and Yıldırım E 2008. Annotated catalogue of the Ampulicidae, Sphecidae and Crabronidae (Insecta : Hymenoptera) of Turkey. Pensoft Publishers, 316 p, Sofya. Nemkov PG 1996. Digger wasps of the tribe Gorytini (Hymenoptera, Sphecidae) in the fauna of Russia and neighbouring countries. Genus Harpactus Shuckard. Zoologicheskiy Zhurnal 75: 1204-1213. Pulawski WJ 1967. Hymenoptera from Turkey. – Sphecidae, II (Genera Astata Latreille and Tachysphex Kohl). Bulletin of the British Museum (Natural History). Entomology 19: 383-410. Pulawski WJ 1971. Les Tachysphex (Hym., Sphecidae) de la région paléarctique occidentale et centrale. Państwowe Wydawnictwo Naukowe, Wrocław. 464 pp. Pulawski WJ 2018. Catalog of Sphecidae sensu lato. https://www.calacademy.org/scientists/ projects/catalog-of-sphecidae. Schmid-Egger C 2000. A revision of Entomosericus Dahlbom 1845 (Hymenoptera: Apoidea: “Sphecidae”), with description of a new species. Journal of Hymenoptera Research 9: 352-362. Straka J 2005. A review of the genus Tachysphex (Hymenoptera: Apoidea) of Turkey, with description of four new species. Acta Societatis Zoologicae Bohemicae, 69: 247-276. Tüzün A, Gülmez Y, Bağrıaçık N 1999. Studies on Sphecidae of Aegean Region. Entomofauna 20: 381-388. Yıldırım E, Ljubomirov T 2005. Contribution to the knowledge of Sphecidae and Crabronidae (Hymenoptera, Aculeata) fauna of Turkey. Linzer Biologische Beiträge, 37: 1785-1808. Yıldırım E 2012. Contribution to the knowledge of the Sphecidae and Crabronidae (Hymenoptera: Aculeata) fauna of Turkey. Entomologie faunistique - Faunistic Entomology, 64(3): 73-82.